Monster has never been shy about going big when it comes to marketing. From Lamborghinis decked out in Monster gear, partnerships with sports outlets from Adidas to UFC, and high-profile celebrities, the cable-company-turned-headphone-maker that helped create the “Beats sound” uses the Beats formula to peddle its flashy wares. However, while Beats made good for over $3 billion, Monster hasn’t had the same kind of success. Now the brand is looking for a different kind of celebrity to flash the Monster logo — one with famously pointy ears. 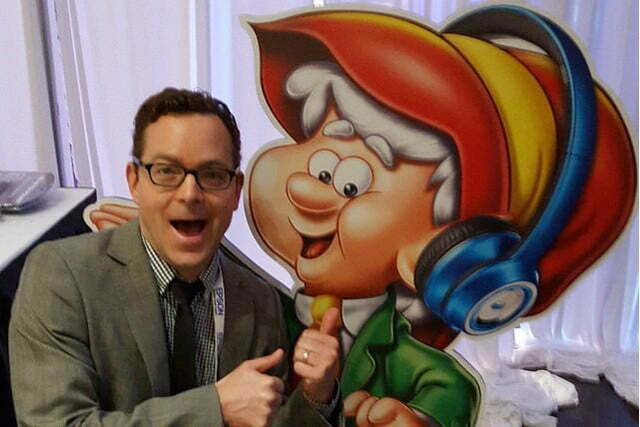 At CE Week in New York, Monster announced a flurry of initiatives, including a new ad-campaign with the mighty Kellogg Company, that will see its N-Tune headphones wrapped around the ears of none other than the Keebler elves. In the back-to-school promotion that runs from July to October, buyers of Kellogg’s snacks will get a chance to win a pair of N-Tunes, a $10 coupon for the cans, and free music downloads. In addition to the Kellogg promotion, Monster has made several other moves designed to increase awareness of the company’s stylized audio gear, including a worldwide marketing partnership with Dufry and the Hudson Group to see Monster gear penetrate airport shops, and a new partnership with pro-gamer Johnathan Wendel to create Monster’s first gaming headphones, starting with a stereo headset outfitted with a boom mic a branded with Wendel’s Fatal1ty logo, due in the fall. 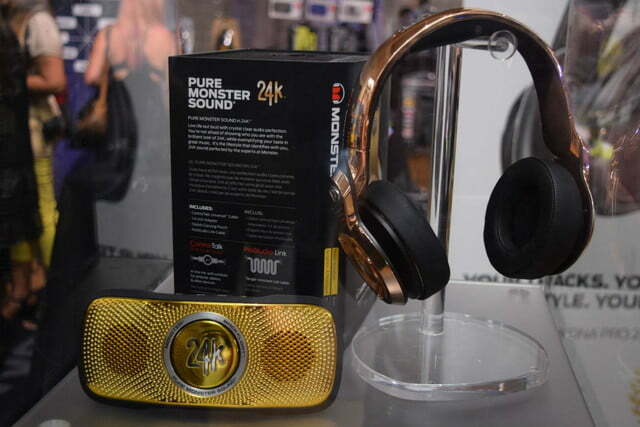 Monster also announced some new products to add to its expansive lineup including an expansion of the company’s gold colored “Monster 24K” product line, inspired by Rapper Meek Mill. The flagship will be the limited edition 24K over-ear cans in rose gold ($330), available at Monster’s website and Zumiez in July. They’ll be followed by a line of wireless 24K cans, including over-ears ($350), on-ears ($230), and an in-ear pair ($150), all due in the fall. 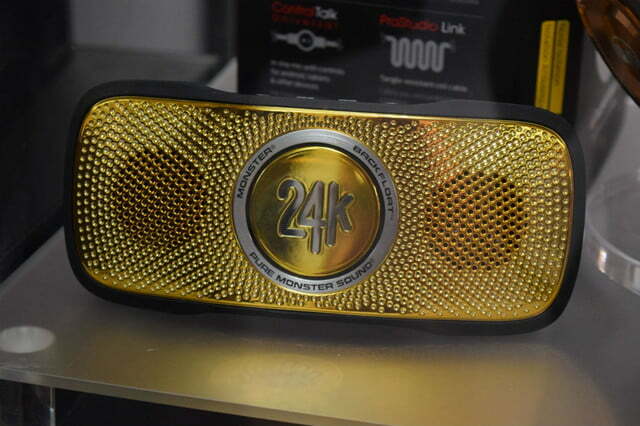 Also new to the 24K line is a “golden” makeover for monster’s latest wireless Bluetooth speaker, the SuperStar BackFloat. 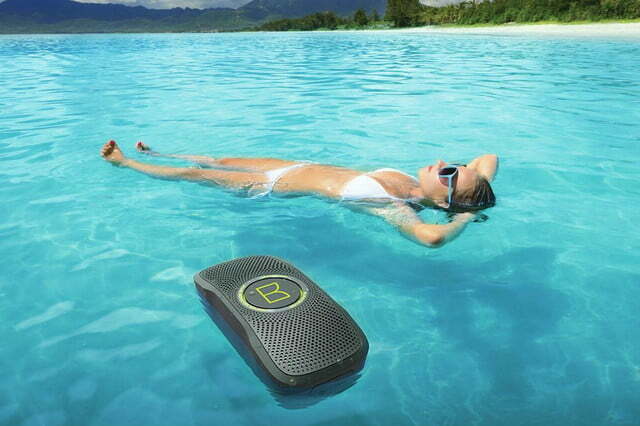 Painted as a “high performance” speaker, the BackFloat boasts enough water-resistance skills to blast tunes while floating in the pool or hot tub. The new version is priced at $180. And that’s not all. 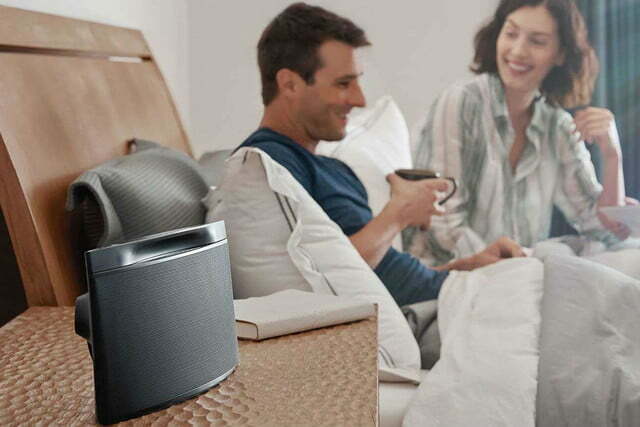 Monster announced that the company’s multi-room wireless speaker system, the Monster SoundStage, won a Best in Show Award for multi-room AV streaming at CE Week. Like Sonos, and a host of other multi-room setups, the system comes in three models, including the S1 ($280), the S2 ($350), and the S3 ($450). All of the speakers offer Wi-Fi and Bluetooth connection, playback from multiple devices, and Spotify support, all controlled via a centralized app for your smartphone. With new gear, and a host of new partnerships that should make the brand more recognizable than ever, Monster is hoping to get deeper penetration in the market, hitting up consumers at airports, supermarkets, and sports and electronics retailers in an all-out blitz. But do the Keebler Elves really hold sway over more than just our preference for chocolate cookie sandwiches? We’ll find out soon enough.